If your workplace exposes employees to loud noise for extended periods of time, it’s important to have a noise management plan in place to minimise risk while complying with Workplace Noise Regulations. Exposure to noise in the workplace is one of the leading causes for workers’ compensation claims. Protecting employees through an adequate noise management plan can reduce and even eliminate claims by measuring workplace noise exposures and ensuring that there are adequate, documented controls to ultimately conserve hearing. Too often workplaces providing workers with the highest level of hearing protectors are actually creating a significant safety risk by isolating their workers from the environment, leaving them unaware of warning tones from forklifts, cranes and evacuations. Safe Environments can assist by measuring the noise exposure levels for each workgroup to optimise hearing protection, so you can provide the greatest overall level of safety for your employees. Our qualified noise consultants can visit your worksite, bringing state-of-the-art testing equipment and mobile audiometric testing booths to provide reference and monitoring audiograms to document and identify changes in employees’ hearing. The identification of Temporary Threshold Shifts (TTS) is critical in ensuring that they do not translate into Permanent Threshold Shifts (PTS), known as Noise Induced Hearing Loss (NIHL). Our mobile audiometric testing services are based in Sydney and we can travel throughout regional and rural NSW to assist in understanding and reducing the risk facing many workplaces. With worker safety in mind, our services include noise awareness training, recommending the optimised level of hearing protection, training in hearing protection use, and auditing hearing protection programs. If you don’t have a noise management plan in place, we can develop one for you, or audit your current noise management plan to ensure that it is current, relevant and effective. Do You Need to Test Your Workplace Noise Levels? Managing occupational noise can help to avoid permanent and unnecessary damage to the hearing of your staff. If you’re unsure of whether you need to have your workplace tested for safe noise levels or any other workplace safety issue including dust, chemicals or floor slip resistance, contact our team today. Your Safe Environments consultant can help you to understand and stay up to date with the latest legislation in noise and audiometric testing and other work environment testing, in order to keep your employees safe. What are the workplace health and safety standards for noise exposure in the workplace? The Workplace Noise Regulation provides a national standard for noise exposure in work environments. Workplace exposure levels must be less than LAeq, 8hr of 85 dB(A): that is, the eight hour equivalent of continuous exposure to an A-weighted sound pressure level. These levels however are to be reduced to 80 dB(A) when there is exposure to ototoxic agents or hand-arm vibration or there are extended work shifts. Peak levels must be limited to LC,peak of 140 dB(C): that is, a C-weighted peak sound pressure level in accordance with AS/NZS 1269.1:2005 Occupational noise management – Measurements and assessment of noise immission and exposure. Read more about noise assessment, or contact our team for further information. Ototoxic agents are chemicals which, in conjunction with noise, increase the risk of hearing loss. 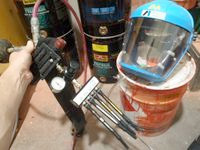 These chemicals are quite common in the workplace and include metal dusts from grinding and welding and organic solvents such as acetone and spray paints. Noise exposures should be reduced to 80 dB(A) and the ototoxic agents should be at least 50% below the exposure standard. The list of chemicals is quite extensive which is considered as part of our standard noise assessment by the Safe Environments team of occupational hygienists and noise consultants. What are the effects of Noise & Hand Arm Vibration (HAV)? Hand arm vibration when using hand tools and the like are similar to ototoxic agents in that they increase the risk of noise induced hearing loss. Noise exposures should be reduced to below 80 dB(A) to reduce the confounding effects of Hand Arm Vibration in noise exposed workers. Similar to ototoxic agents, the exposure to hand-arm vibration should be reduced to below 50% of the Australian Standard AS ISO 5349.1-2013 Mechanical vibration - Measurement and evaluation of human exposure to hand-transmitted vibration - General requirements. 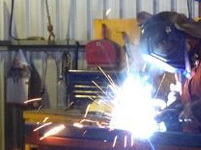 What is an employer’s obligation in regards to noise exposure and workplace health and safety? •	Ensure workers are not exposed to levels higher than the standard exposure levels as stated in AS/NZS 1269.1:2005 Occupational noise management – Measurements and assessment of noise immission and exposure. •	Provide audiometric testing for all people at a workplace who are frequently required to use personal hearing protection. 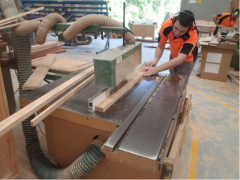 The NSW Work Health and Safety Regulation 2011 requires that these workers undergo audiometric testing every two years. 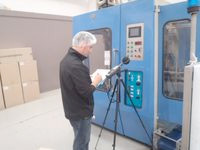 AS 1269.4:2005 Occupational Noise Management Part 4 Audiometric Testing recommends audiometric testing on an annual basis, particularly for those with potential exposure to ototoxic agents or hand arm vibration. What is audiometric testing and how is it conducted? Audiometric testing provides an assessment of a worker’s personal hearing health and how this may be temporarily or permanently affected in the workplace. This process is useful in ensuring workplace noise levels are safe in accordance with regulations and assessing the hearing of new employees (within the first three months). The testing process involves a screening test where workers are played certain tones at different levels and frequencies to test their lowest level of hearing in each ear. The result is a detailed audiogram, which can show changes in hearing over time, both temporary and permanent. How long does audiometric testing take? The length of time required for audiometric testing will depend on the number of employees to be tested, however it generally takes 15 to 20 minutes per person. To make testing more efficient for your organisation, we can bring our mobile audiometric testing booth to your site, anywhere throughout metropolitan, regional and rural NSW. Ask us for a quote today. How much does audiometric testing cost? We tailor our pricing to each organisation’s particular needs, so contact us now for a quote based on your staff and testing requirements.